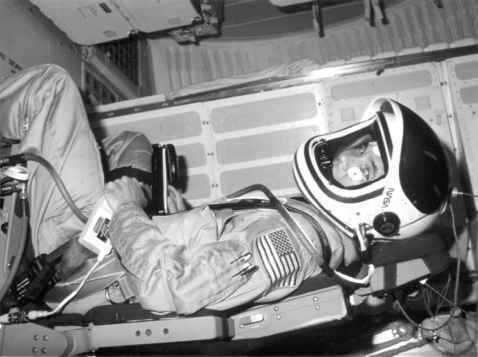 Allen wears the Shuttle constant-wear garment in his seat on the mid-deck of Columbia for his first ride into space. when crews could translate between spacecraft that the first indications of motion sickness became apparent. First appearing during the Vostok 2 flight for the Soviets, and on Apollo 8 and 9 for the Americans, it was during the Skylab programme that the increased volume of the spacecraft (and quick movements of the crew) really brought the problem to the fore. On STS-5, both Bob Overmyer and Bill Lenoir suffered from SAS, while Brand, the only veteran on the crew, also felt a little discomfort. Joe Allen found no problem at all in adjusting to weightlessness. 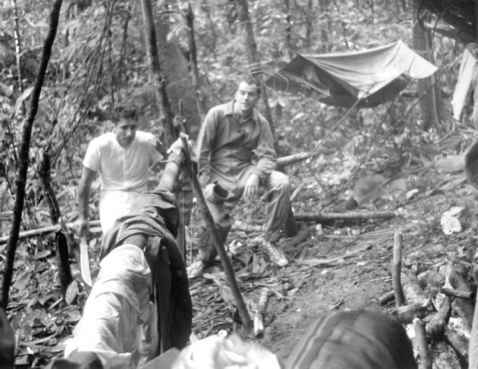 As Overmyer recovered, Lenoir's sickness worsened and on the third day, he threw up - something he described as more like a "wet belch'' - prompting the mission management team and flight surgeons to postpone the planned EVA for twenty-four hours from Flight Day (FD) 4 to FD 5. By the fourth day, Lenoir felt much better. The first two mission specialists in space. 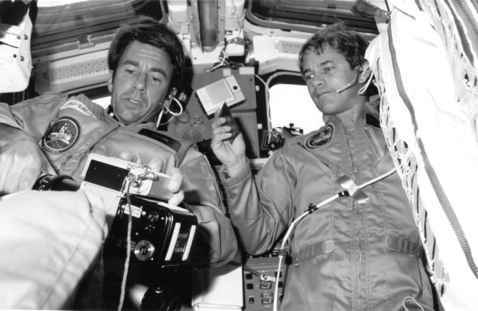 Lenoir and Allen are shown on the aft flight deck of Columbia during the STS-5 mission. With Columbia safely on orbit, it was time to get on with those primary objectives - the deployment of the two communication satellites and the EVA demonstration. However, one of the more unusual activities in securing the vehicle for orbital flight occurred when Vance Brand taped up the side hatch handle, to remind everyone that it would not be advisable to try to use the double lock handle to steady themselves in the mid-deck since it opened outwards, away from the pressurisation compartment!